Ludwig van Beethoven’s 32 piano sonatas form an unparalleled canon, remaining one of the greatest and most rewarding challenges for pianists to this day. These three sonatas represent Beethoven’s Early, Middle and Late periods, but are united in the key of C – minor, for the dramatic and stormy intensity of mood in the Pathétique, and major for the radiant and poetic Waldstein sonata. In his sonata Op.111 the cycle is completed with music of utmost dramatic tension and the deepest spirituality. Boris Giltburg took first prize at the 2013 Queen Elisabeth Competition, having won second prize at the Rubinstein in 2011 and top prize at Santander back in 2002, and subsequently appearing across the globe. Notable débuts have included a South American tour in 2002 (and every season since), with the Israel Philharmonic in 2005, the Indianapolis Symphony in 2007, a tour of China in 2007, and at the BBC Proms in London in 2010. He has appeared with Marin Alsop, Martyn Brabbins, Edo de Waart, Christoph von Dohnányi, Philippe Entremont, Vladimir Fedoseyev, Neeme Järvi, Kirill Karabits, Emmanuel Krivine, Hannu Lintu, Vasily Petrenko, Jukka-Pekka Saraste, Tugan Sokhiev and Yan Pascal Tortelier, among others. In 2014 he began a long-term recording plan with Naxos. 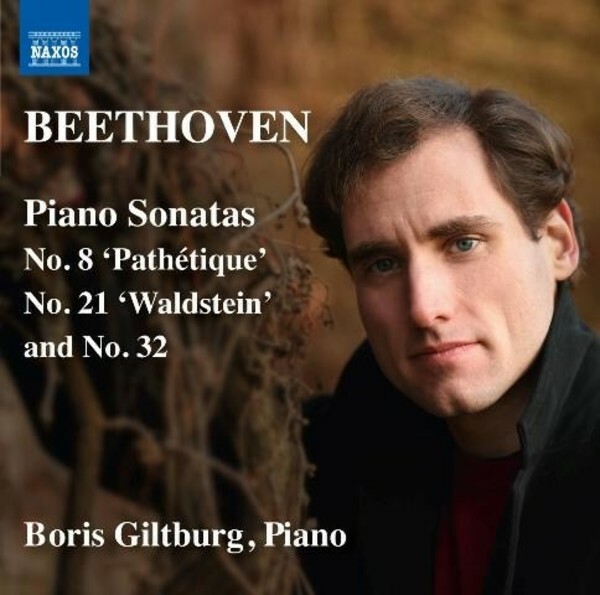 This is Boris Giltburg’s second Naxos album, following an acclaimed Schumann programme (8573399).